If your IMAP mailbox is approaching the disk quota limit for your account or is full, you will need to free up some space by deleting large emails or you can archive old emails by moving them to an offline location on your computer. This will free up space without having to delete messages. You can’t create just create an additional folder in your IMAP account as this will just get sync’d with the server and you will not gain any space. 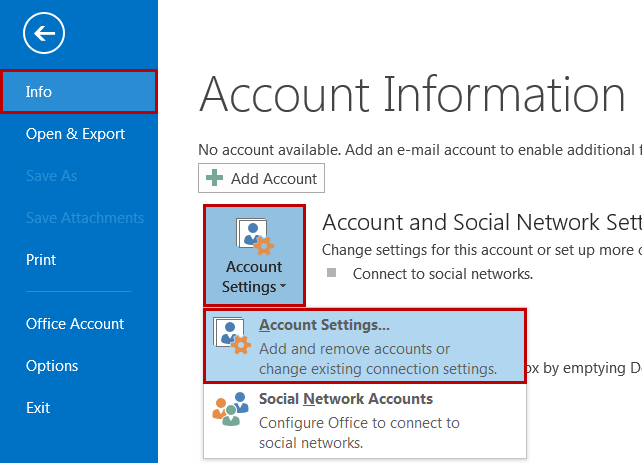 This guide demonstrates how you can create an archive location in Outlook 2016. It can also apply to Outlook 2007/2010/2013 also but the tabs/menus and locations may be slightly different. You need to create a new data file, sounds difficult but its really quite simple. Click ‘Add’ to create a new data (.pst) file. You will be asked to choose a name for the new data file, Name it something like ‘Email Archive’. You will now have a New Folder in your Mail Folders list with this name where you can create folders like ‘inbox’ and ‘sent items’ to store any emails you want to keep locally. You can now drag and drop emails you want to archive from you IMAP mailbox to your new local archive data file. 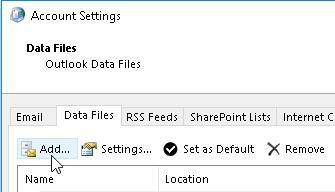 You can also use the auto-archive feature of Outlook to do this on a regular basis. With enterprise features like shared mailboxes, calendars and contacts? Ask us about Microsoft Office 365 and Google’s GSuite which have mailboxes at 25gig per account. These are great solutions for storing large amounts of data online at a cost of about $5 per month per email account.